I have definitely been on a middle grades fiction kick lately, and more importantly, I have been on a books about autism kick. When I did a quick search for middle grades fiction about autism one day, most of the books listed were books I had already heard about, but there was one list about books about autism with one book that grabbed my attention that I had never seen on any other similar lists–M is for Autism. (You can check out that list here!) The description of the book said that it was written by a group of students at a school for girls with autism, and I found myself immediately excited to order the book and read it. What set this book apart for me is the fact that it’s a work of fiction and written by those on the spectrum (with the help of their creative writing teacher), so I knew it would offer an important insight into the lives of those with autism. The book is primarily narrated by a 13-year-old girl who calls herself M. M can’t understand why she can’t be “normal” like the rest of the kids in her classes, thinks her father must have left because of her, gets frustrated with her mother’s misunderstandings of her, and sees her anxiety as a ferocious creature that is constantly stalking her and threatening to overtake her. M doesn’t seem to fit in with any of the kids in her class, and her pain and frustration becomes more clear during her meetings with a counselor. Part of the book is narrated by M’s mother, which give the reader a bit more understanding of her struggles to understand her daughter while desperately seeking signs of her reciprocated love. M touches on two incredibly crucial points here. The first is the dangerous misconceptions that surround autism, and the second is the way others discuss those with autism in their presence. If you have read many of my blog posts, you might know that my youngest son has autism. This is something that my husband and I struggle to address with others and be conscientious about at all times, but we still witness it almost on a daily basis. M’s story reiterates that those with autism are fully aware of the words and behaviors of others toward them, but her story also does so much more that just that. By telling M’s story, the students of Limpsfield Grange School have told their own stories and have done everyone a valuable service. Not only have they provided awareness that autism doesn’t just affect boys and helped readers get priceless insight into how autism works, but they have also helped parents and caregivers of kids with autism, like myself, be more aware of their own behaviors and provided those with autism with a book that just might help them understand more about this thing called autism that seems to take up so much of the space around and within them. M’s counselor’s messages to M about her value as a person being about so much more than her autism were something that all people should hear, and I’m incredibly grateful that I discovered this little gem of a book. 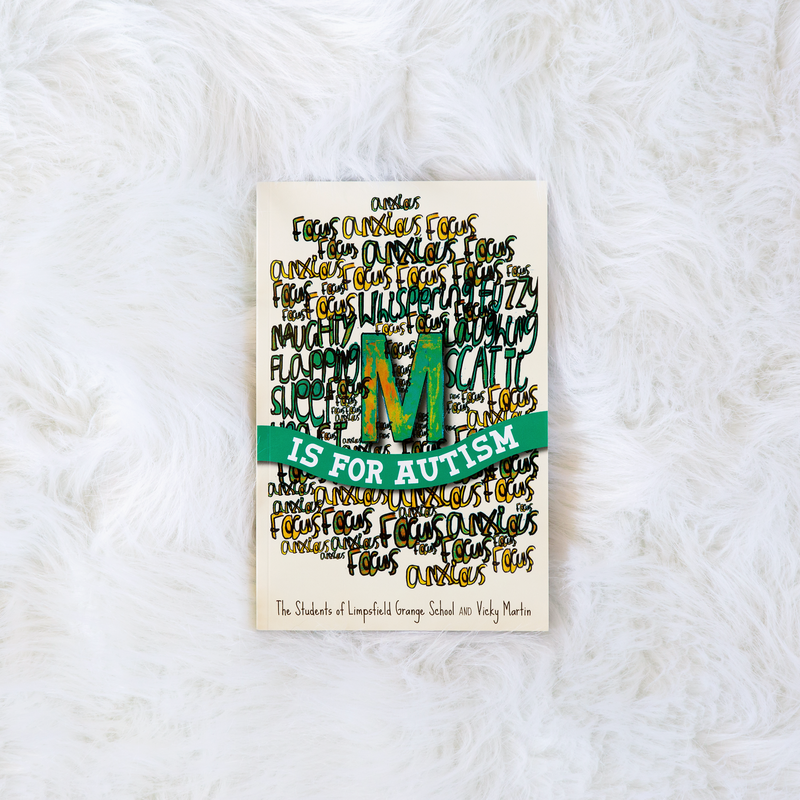 My only complaint about M is for Autism is that I wanted so much more (and that incorrect use of it’s instead of its early in the book…but I digress…). Luckily for me, I discovered the existence of M in the Middle: Secret Crushes, Megal-Colossal Anxiety, and the People’s Republic of Autism, a 352-page follow-up to M is for Autism. I can’t wait to read it and share my thoughts for everyone soon! Posted in middle grades fictionTagged autism books, book review, Fiction Books About Autism, fiction review, M is for Autism, middle grades book review, middle grades books, middle grades fiction, middle grades fiction about autismBookmark the permalink.